About — Hecho & Co.
Hecho and Co. is started by two sisters, Sam and Henrieta, who set out to create a textiles brand that celebrates modern design, traditional craft and ethical production. The sisters work directly with artisan families to ensure fairness and transparency in each garment that is made. Each piece is made using high quality natural materials and is handwoven by artisans in Mexico. Sam: The idea for the project was inspired by my previous travels through Mexico and the incredible textiles I was seeing. At the time I was teaching full time (and still am!) 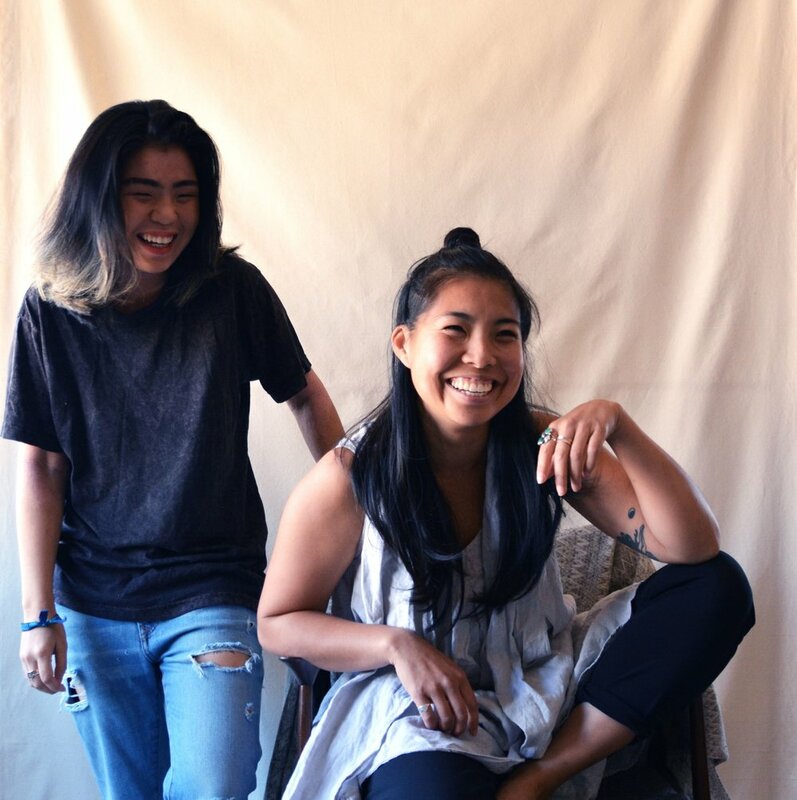 as an elementary school teacher and wanted to find a creative outlet that allowed me to explore the realities of ethically produced goods and designs that imparted a feeling of empowerment for the wearer. These intentions still hold true today, 3 years later as our community of artisans and supporters continue to grow. Always and forever people first! 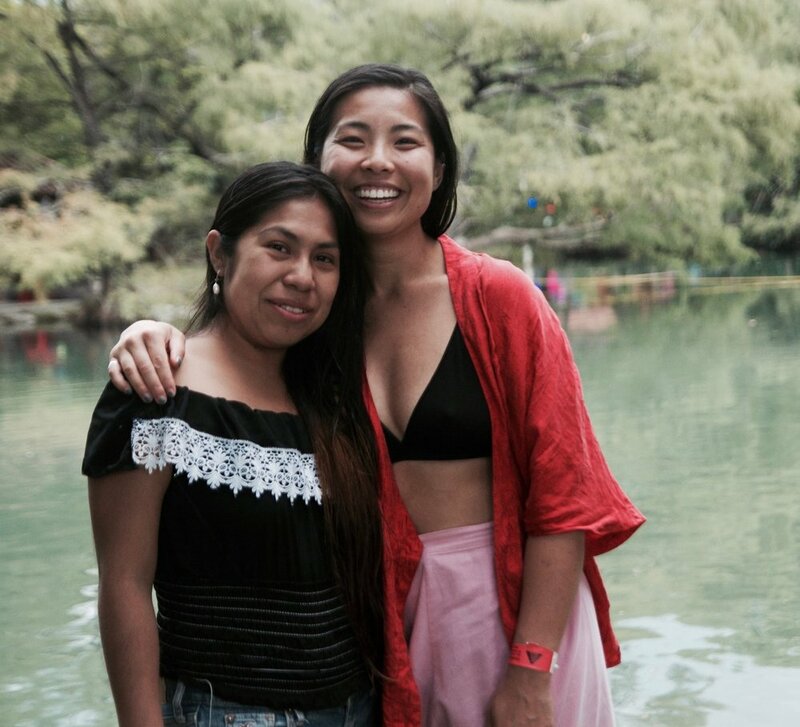 Henrieta: Sam and I were in different cities when she phoned me up to tell me about all the wonderful things she was seeing in Mexico and this project she wanted to do with me. Since that phone call, these three years have been a non-stop adventure of learning experiences in business, art and life. My main concern is to learn what it means to respectfully represent a culture that is not our own. We strive to constantly learn from and have conversations with our artisans about it and I hope Hecho reflects that. Hecho and Co. exists because of the incredible team of people that have joined us on our journey. Anahi and I (Sam) first met 7 years ago in a little hostel in San Cristobal de las Casas. Our story is a little longwinded and remarkable, as many good friendships are. We are so lucky to get to work with Anahi as she is just as passionate about textiles and designs as we are. She helps us maintain contact and manage products with artisan collaborators in rural regions of Chiapas. Anahi is also a full time elementary school teacher in rural Chiapas and is a momma to the cutest 7 year old boy. Artisan liason, educator, momma, friend- we are infinitely inspired by her drive and sparkling spirit!